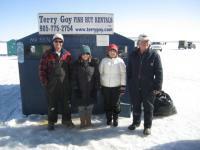 Lake Simcoe, Cook's Bay Number 1 Ice Hut Operator. Daily Rates: 7:00am. -4:00pm. at $40.00 per person - weekdays and weekends Includes live bait and transportation in and out. 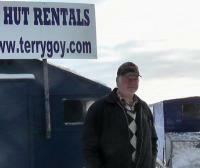 Heated two man and six man huts are designed for comfort. Please bring your own food and beverages. Review and Rating. Register first!